Steel wheel (254mm/10″ dia) with drop-forged swivel eyebolt. Self-lubricating pivot wheel. Wheel rim compatible with up to 19mm dia rope. 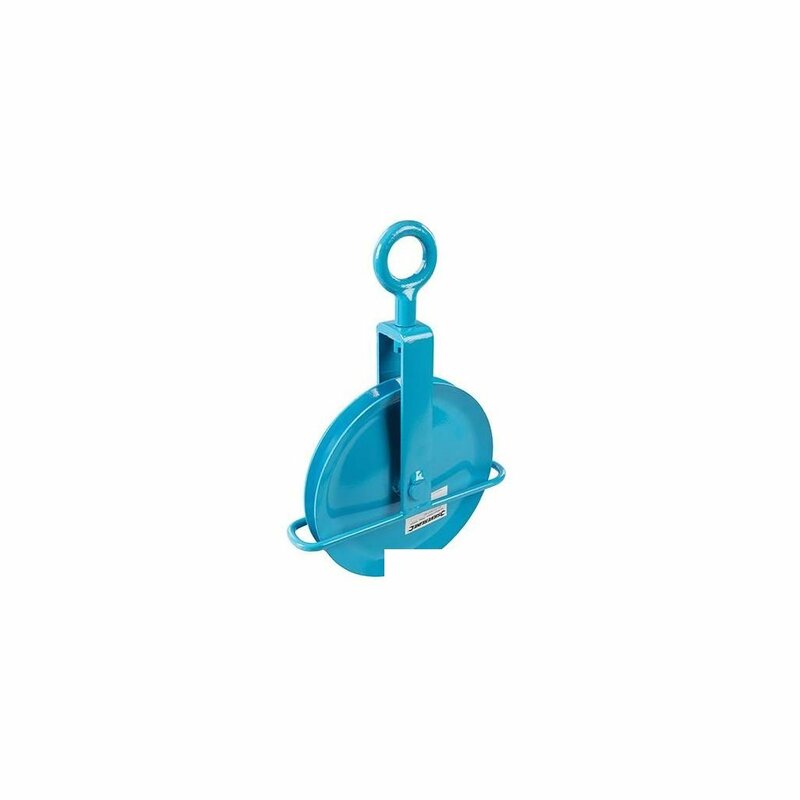 For use as a pulley system for manually-operated vertical lifting. Strong welded design with powder-coated painted finish for corrosion protection. Manufactured and certified to BS1692:1998 and Machinery Directive 2006/42/EC. Ideal for use by contractors, roofers, scaffolders and builders. Load capacity 250kg (1/4 tonne) with safety factor 4:1 (load capacity 50kg only on scaffolding). Recommended for use with Silverline Gin Wheel Rope with Hook (865628).